Thanks for a great job! Lucas is a great worker! We will contact you again! Thank you for the GREAT job your crew did, I am so happy I chose you! Thank you so much for the wonderful job. I will be contacting you next year for a touch-up. From the time I signed our contract and returned it, I fretted over whether going with the highest bidder (by far) was a smart idea. Now, every day I drive home from work, I look at my home and RV building and know that it was absolutely the smartest idea I’ve had in the last decade. You and your crew did a wonderful job of bringing out the beauty in the house’s great cedar siding that had been covered up ever since we bought this place eleven years ago, and in bringing out that beauty in the RV cedar siding that had never had a protective coating. While I imagine your reputation is already stellar, if you ever need a referral to provide to a new customer, do not hesitate giving them my phone number. Thanks Mark & Crew- We really liked your company and the work done. I just got back to town, but will pop a check in the mail to you for the work. The roof looks really good, and the clean up is awesome! Thank you so doing such a nice job and taking care of the roof. I can’t believe how much better it looks! I am going to pay with Visa, so I will call tomorrow. Need those air miles, ha! 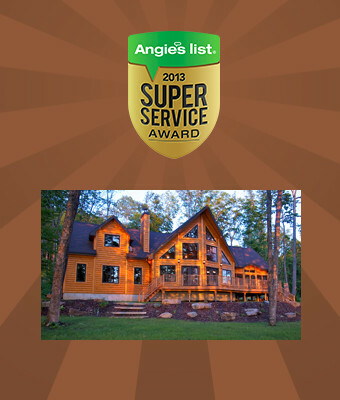 Mark and his team [sic] did a wonderful job refinishing and restoring my log home. Loved the crew and the job they did. Can’t recommend this company highly enough! Fully licensed, bonded, and insured. Our email newsletter is full of cool stuff. Get signed up today and receive something cool.